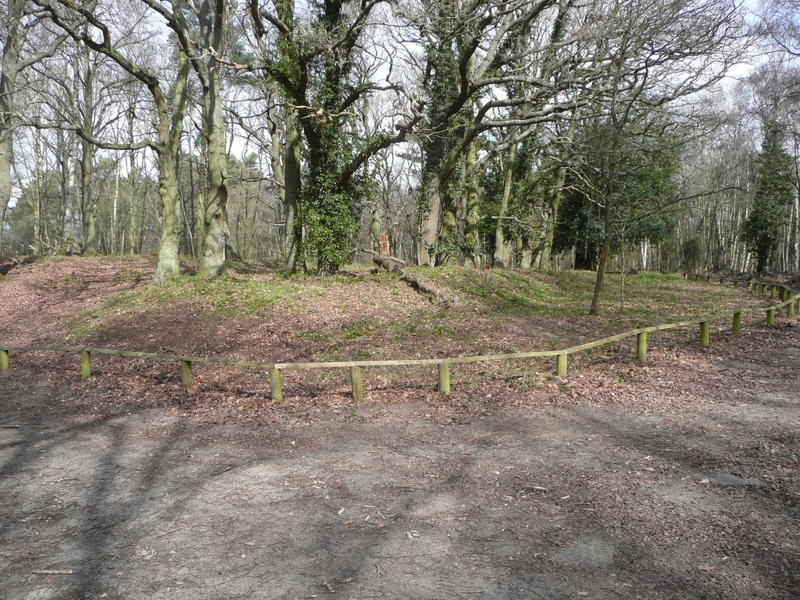 After the clear up – towards the end of the month this area should be a sea of blue! 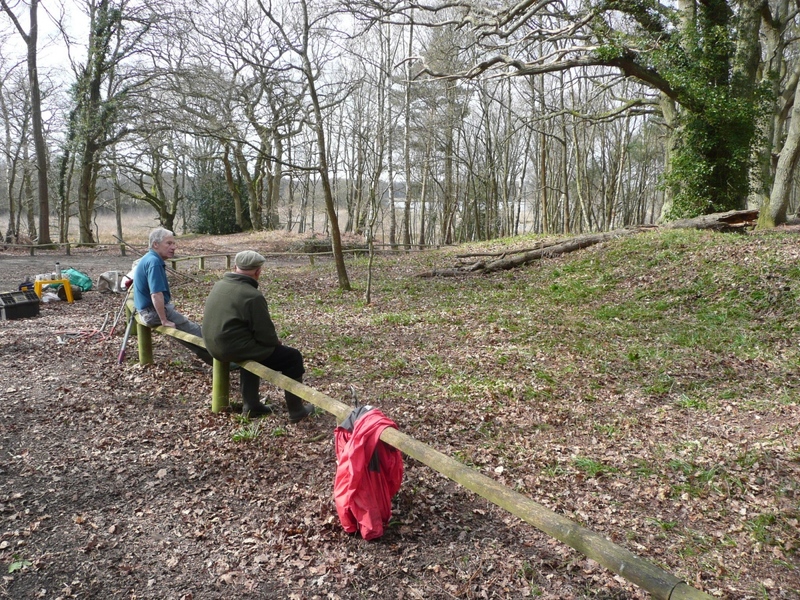 A week ago today, a volunteer team lead by Terry Austin took on the task of clearing out an area at the Pond known for it’s spectacular display of English (native) bluebells. The aim was to remove the mounds of leaves and bracken that had accumulated over the year and to take them away to be burnt. The bluebells are near the picnic area (see picture above) – why not keep an eye out for them in your walks around the Pond in the coming weeks? If you have any good photos of the carpet of bluebells, why not send them to me (contact details here) as I’d be happy to consider publishing them on this blog (giving full credit of course). Alternatively, perhaps you could tweet them? The UK is an international stronghold for bluebells, with more than a quarter of the world’s population found here. More than that, taking a walk through a sweet-smelling carpet of nodding bluebells is one of the definitive experiences of an English spring, and one that I look forward to every year. Sadly, our native bluebell is losing ground to an insidious competitor: the Spanish bluebell. Introduced by the Victorians as a garden plant, the Spanish bluebell has made it ‘over the garden wall’ and out into the wild. Here, it crossbreeds with our native plants and produces fertile hybrids with a mix of characteristics. You can use the information below to help you know what kind of bluebell you are looking at. If you see any of the characteristics of the Spanish bluebell then you are looking at a hybrid. As you can see, the weather was very pleasant and it was a healthy and rewarding task. If you would like to come along and help us in our volunteer tasks, please contact Colin Gray, who will be happy to provide further details. This entry was posted on Friday, April 8th, 2016 at 10:10 am and is filed under Education, Plants and Animals, Volunteering. You can follow any responses to this entry through the RSS 2.0 feed. You can leave a response, or trackback from your own site.